The “Protected Privacy IoT Service” certificate focuses on the service and the interface or application (e.g., web service) that is connected to an IoT device. To enable a device to be controlled via an application, data is transferred to the service provider and then processed. A total of 26 partially very complex requirement groups are tested, including various tests on the system architecture. “Such tests require a high degree of trust, openness and willingness to cooperate on the part of the manufacturer to be certified. 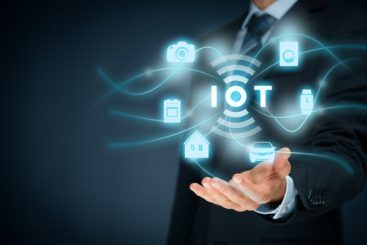 As with Gooee, these requirements were met in an excellent manner,” says Udo Scalla, Global Head Center of Excellence IoT Privacy at TÜV Rheinland. Gooee is a specialist for innovative lighting solutions in the IoT sector working together with numerous international manufacturers. “Our customers have the highest demands on security and data protection. Gooee is proud to be the first full-stack IoT developer to collaborate with TÜV Rheinland as part of the IoT Privacy certification opportunity and to have now received the Protected Privacy IoT Service certificate. This proves that data protection and security are our top priorities,” says Simon Coombes, Chief Technology Officer at Gooee. TÜV Rheinland is a global leader in independent inspection services, founded 145 years ago. The group maintains a worldwide presence of more than 20,000 people; annual turnover is nearly EUR 2 billion. The independent experts stand for quality and safety for people, technology and the environment in nearly all aspects of life. TÜV Rheinland inspects technical equipment, products and services, oversees projects, and helps to shape processes and information security for companies. Its experts train people in a wide range of careers and industries. To this end, TÜV Rheinland employs a global network of approved labs, testing and education centers. Since 2006, TÜV Rheinland has been a member of the United Nations Global Compact to promote sustainability and combat corruption. With headquarters in Littleton, MA, TUV Rheinland OpenSky is a subsidiary of TUV Rheinland Group, which operates some of the world’s broadest smart device and IoT testing labs, defining industry standards for functional safety and security, and a leading provider of inspection and assurance services that combine safety, quality and security certifications. CONTACT: Antje Schweitzer, tel. : +49 221 806-5597.